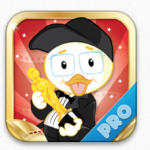 It has become a popular trend to post the favorite apps everyone used in 2012. 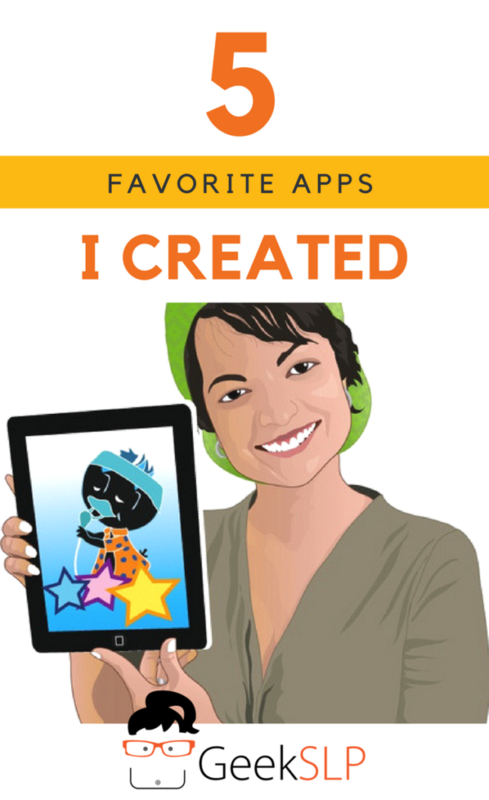 I have decided to join forces and post about the favorite five apps I created in 2012. My 2012 year was a very busy one, with many presentations and lots of creative work. It becomes very hard to separate the best apps I created regardless of user feedback, and the apps that brought most amount of positive feedback and love from users. However, this post is all about my very own favorite apps posted on iTunes in 2012. Syntax City targets grammar structures and allows speech therapists for the first time to select multiple students and assign goals to each student by dragging each student and placing them on locations. Each location has an assigned target activity. The farm targets 3 person agreement, the gym targets appropriate use of was/were, the ski resort targets pronoun use. This was an extremely time consuming project but the final app is just so complex. Syntax City, as many app reviewers have been able to notice, was inspired on the game that I grew up playing: Sims. While some apps I create allow me to practice improving on a concept that has already been utilized on other apps, this app was my first attempt to implement an extremely powerful set of new features: animations & highly detailed and specific user interface with multiple targets. After I created my first articulation app 3 years ago, the market for articulation flash cards apps just exploded! It seems everyone since just comes up with more or less the same thing. That’s why I wanted to give children a different way to utilize the iPad to practice articulation: that’s how Articulation Scenes was created. My creative process is very spontaneous, and it was no different with this app. One night I was watching a movie and thought: what if I create an app for articulation based on scenes and the theme could be “movies”! This was one of the most expensive and longest projects I have ever created, each scene had to be designed by the artists to make sure the words could all belong to each scene — not just a bunch of random illustrations dumped on a scene. After selecting the words, and creating the scenes, we also had to create stories for each scene and think about all the features. Articulation Scenes was the first one of my apps to include a built in home-work sheet, which was extremely well received by everyone. 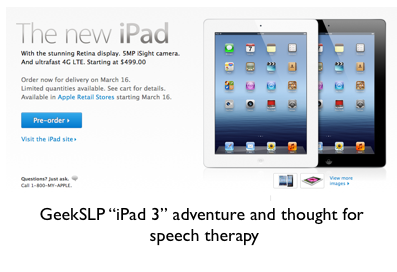 Language Adventures was a concept brought to me by the app authors Nicole Ontis and Danielle Sears. When I was presented with the idea of creating a board game for practicing language skills, I was not quite sure if we could even create such a thing. It just seemed too advanced for us. I was not sure we had the skills to create something so advanced. However, it was thanks to Nicole’s vision and my “ let’s do this” attitude that I believe we have every more advanced apps today. Language Adventures broke the seal and raised the quality of Smarty Ears apps to a new level. 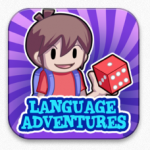 Language Adventures was our first app to have levels of game play and to have avatars. It was also with Language Adventures that I first decided to have an interactive board game that allows children to move spaces and even something small like a dice rolling is quite big in the SLP app world where things can be so static. 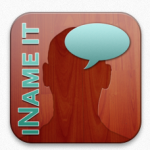 This was one of the most challenging apps I created in 2012. The challenge here came from creating an app for a population I had never created apps for before: adults. Despite all the challenges, this was our first and it is to this date the only app to integrate extremely realistic 3D animated graphics. iName it is a work of art on many levels! The app is the only one to provide a naming task in context and it was created using 3D graphics so realistic that they look like photos. 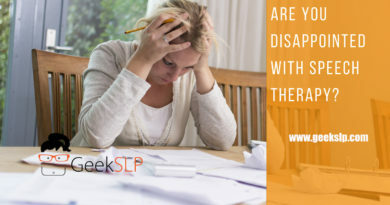 When the authors, Mary and Elizabeth brought the concept to me, I had to stretch the skills one more time to create the app and the result was just amazing. This is the one app that sometimes I cannot believe I was involved in creating. 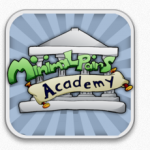 Minimals Pairs Academy was released in January of 2012 and it gave birth to our current style of player selection that everyone loves. It was the first one of our apps to have animation. 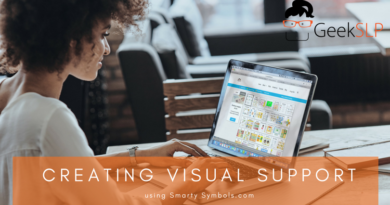 While for many iPad users, envisioning animation on apps is something trivial, since most are used to Angry Birds and Disney kinds of apps for just 99 cents, animations are not cheap to be created, and that’s one of the reasons you do not see much of in the special needs/SLP apps. Minimal Pairs academy also had a very advanced goal selection model and the first one to have graphs to show the results obtained for each student. 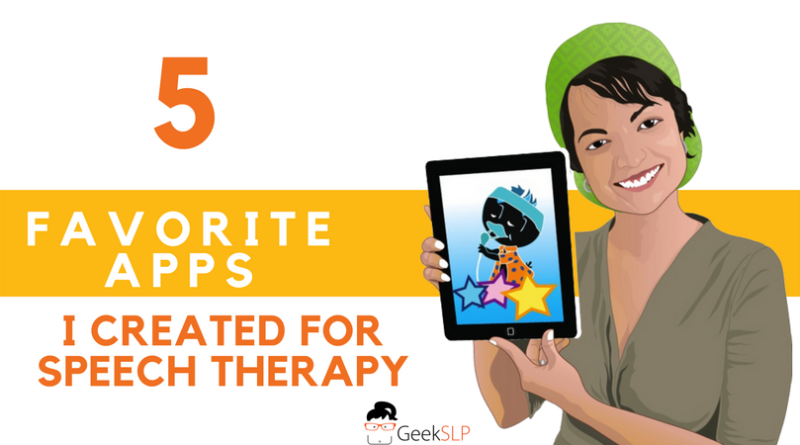 App development in 2012 was very rewarding, collaborating with other speech pathologists to create products that have today been used by thousands of SLPs and parents world-wide is very rewarding. Thanks to everyone for the support received in 2012 and I hope you will enjoy all great apps to come in 2013! 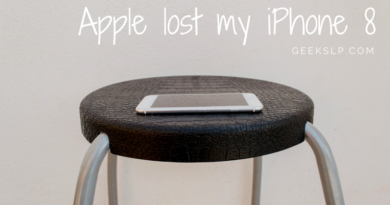 ← Did you know that you could lose everything on your iPad?